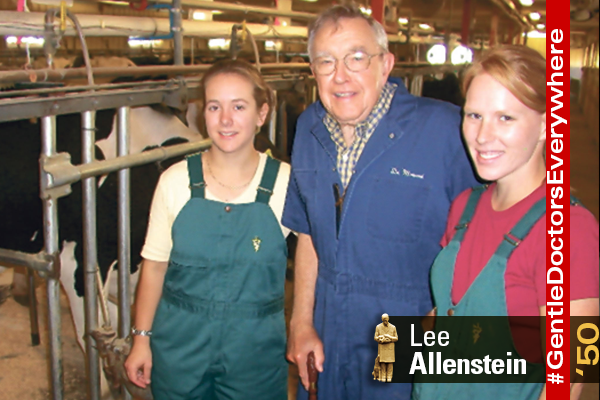 In spite of rheumatic fever with valvular heart lesions and doctor’s orders to pursue a less physically rigorous career of small animal practice, Dr. Lee Allenstein couldn’t resist the allure of a dairy practice. His 40 years of working with a busy practice in Whitewater, Wisconin, led to his induction into the Cattle Production Veterinarian Hall of Fame this year. Allenstein, who passed away in 2011 at the age of 86, received numerous awards during his lifetime including the Stange Award in 1978.